A new oldies station is launching on local DAB in two areas of Wales in December. Launching on Monday 28th December, Nation Gold from Town & Country Broadcasting will be available to listeners in the Cardiff and Newport area as well as across many parts of south western Wales on DAB digital radio. 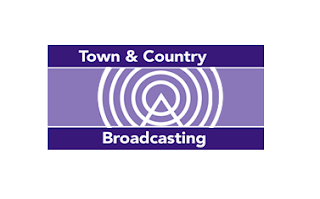 It's the latest extension of Town & Country's Nation brand, which also includes Nation Radio and Nation Hits. According to an application submitted to Ofcom, Nation Gold promises to play "the greatest hits of all time", mirroring the slogan of Global Radio's Gold service, which used to be available in parts of Wales, before Smooth Radio took over the slot. Prior to Nation Gold launching, Town & Country Broadcasting will use their new DAB slot for seasonal station Nation Xmas, which will be on-air from 00:01 1st December until 00:01 28th December 2015. Nation Xmas will play mainstream Christmas music. Nation Xmas is one of several seasonal stations that have either arrived or are about to arrive on DAB digital radio in the coming weeks, with listeners in the Swansea area also able to tune into The Wave's Christmas station on DAB. A new service launching for DAB listeners in Herefordshire and Worcestershire from 14th December. This Russian music, news and entertainment station has been given Ofcom approval to launch on the London III DAB multiplex. The station has now launched on the Cornwall DAB multiplex. This station will be available on the Surrey DAB multiplex from 00:01 27th November - 23:59 on 26th December 2015. The station replaces Smooth Extra until 06:00 on 28th December on the National Digital 1 multiplex.